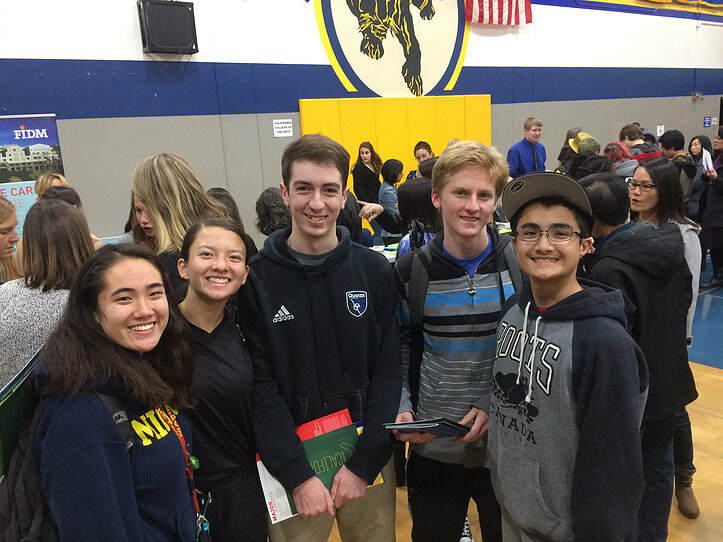 All fairs were well attended and offered all students the opportunity to explore numerous post-secondary school options, including four-year colleges and universities, community colleges, military academies, art and design institutes, technical schools, and more. Feel free to review last year's fairs below and join our mailing list to stay informed of future programs! 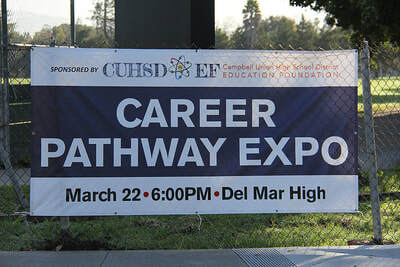 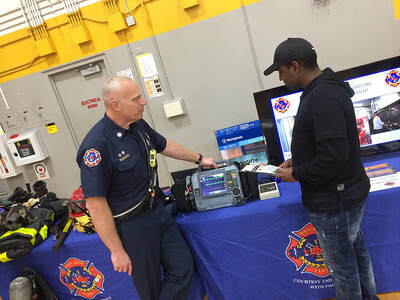 Hosted by Del Mar High School and presented by the CUHSD College & Career Centers, the Career Pathway Expo was an exciting and interactive event showcasing 50 schools, including community colleges, trade schools, art and design institutes, health and safety programs, military academies and more, from across the USA. 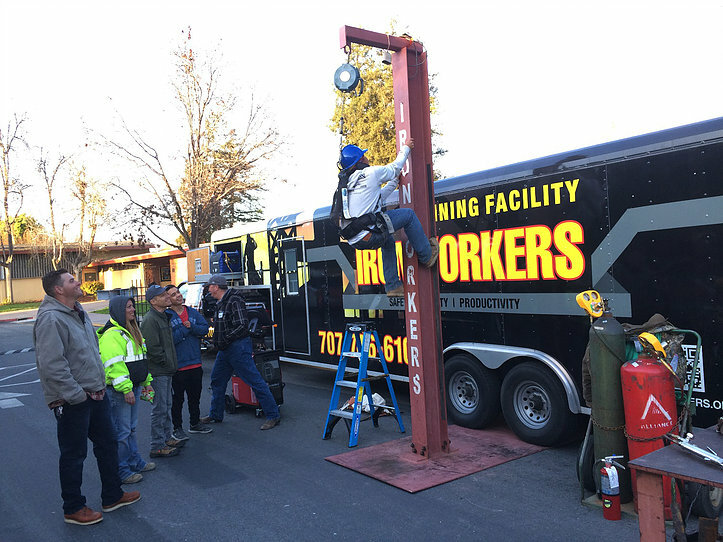 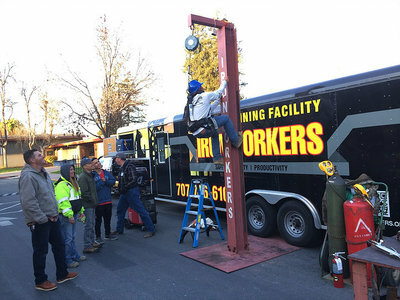 Thank you to over 300 students and parents who attended our first annual Career Pathway Expo! 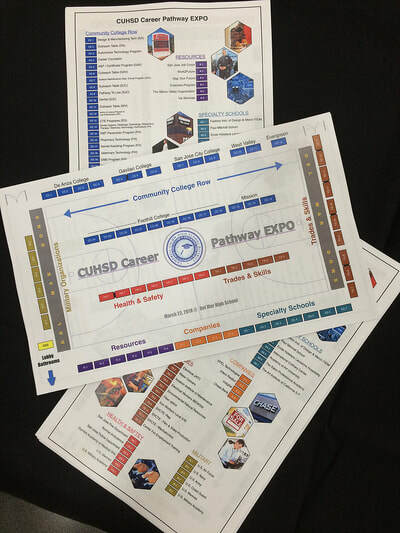 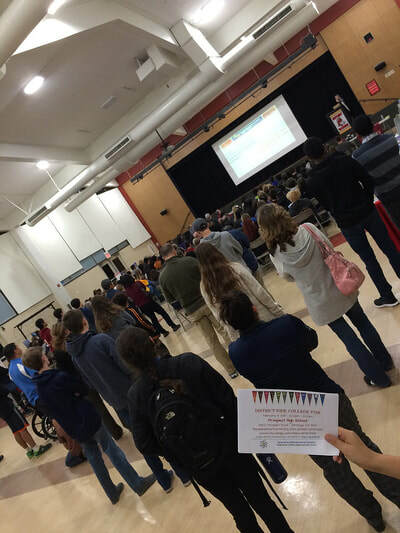 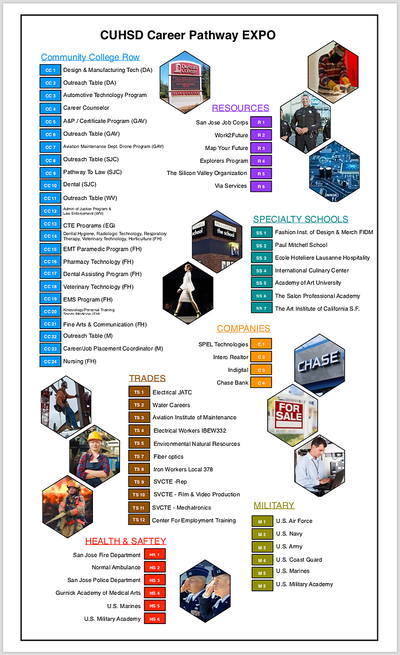 300 CUHSD students and parents explore Career Pathways and ​programs as presented by over 50 schools! 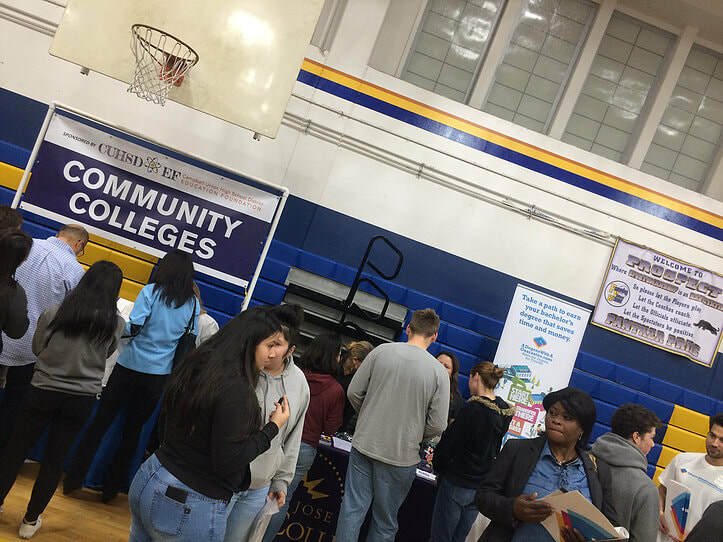 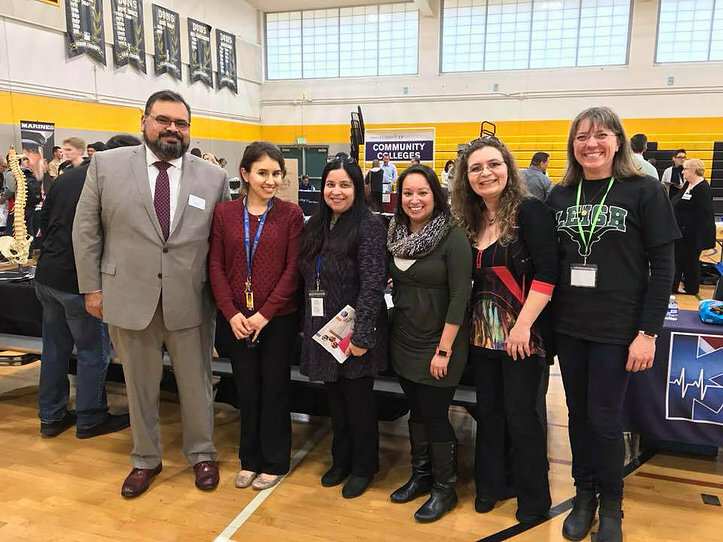 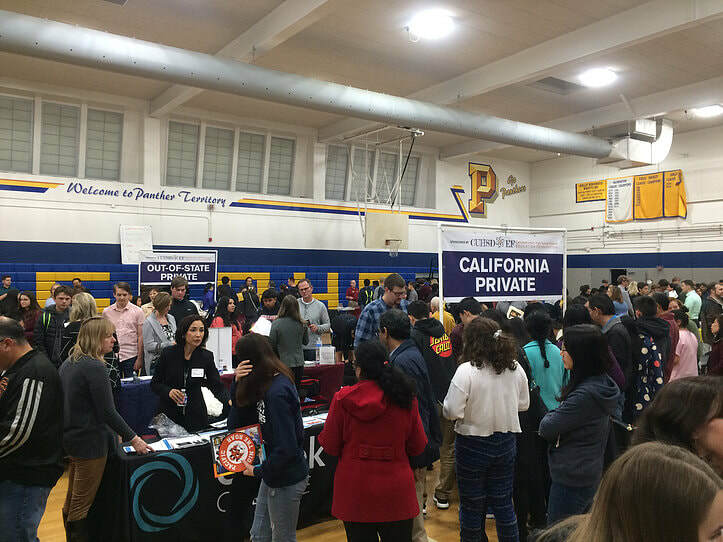 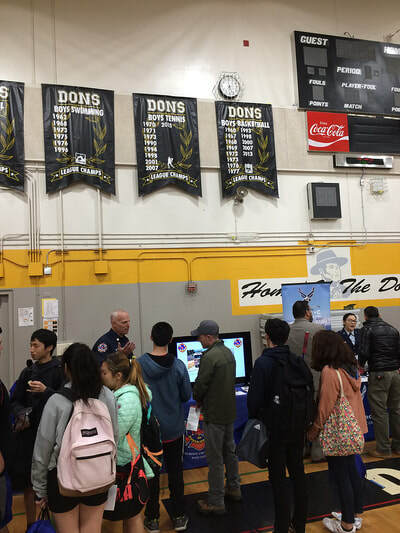 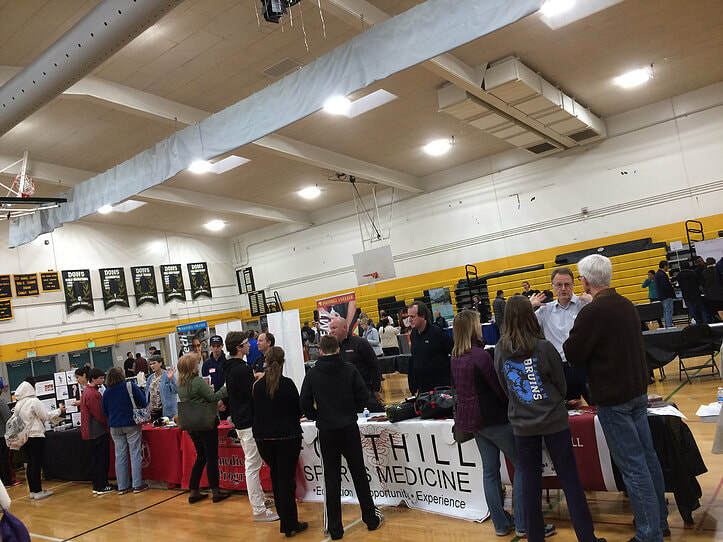 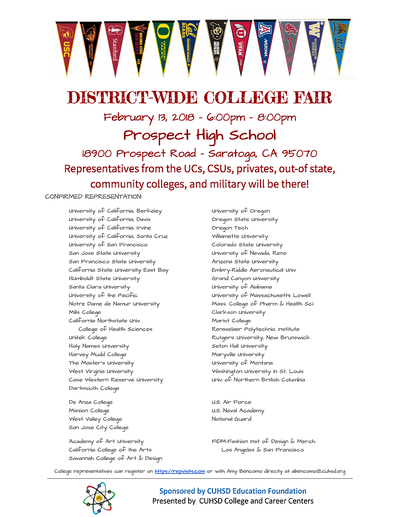 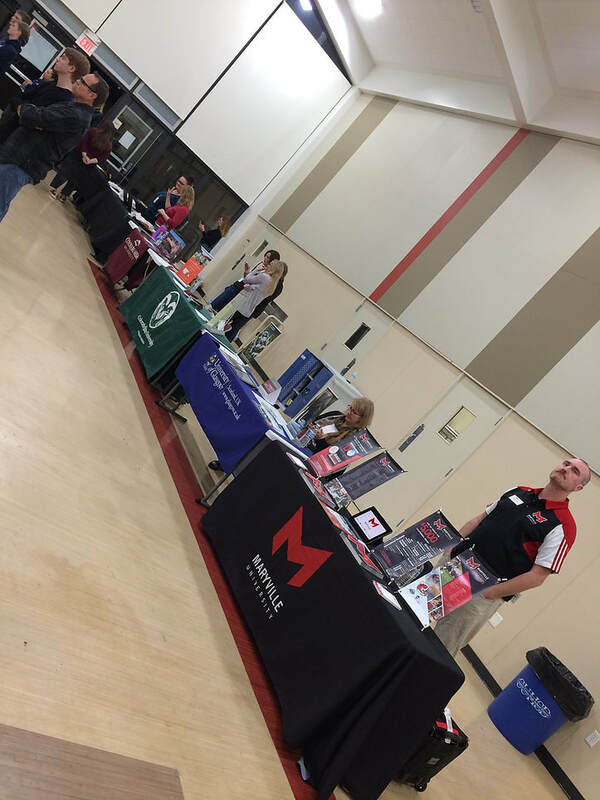 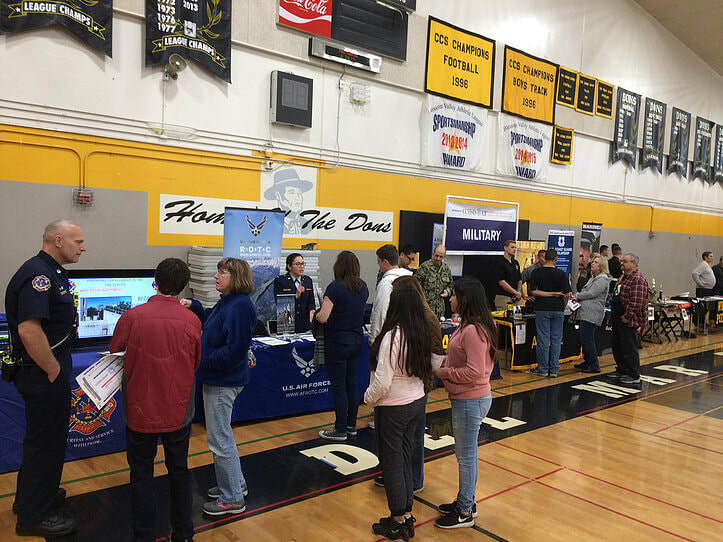 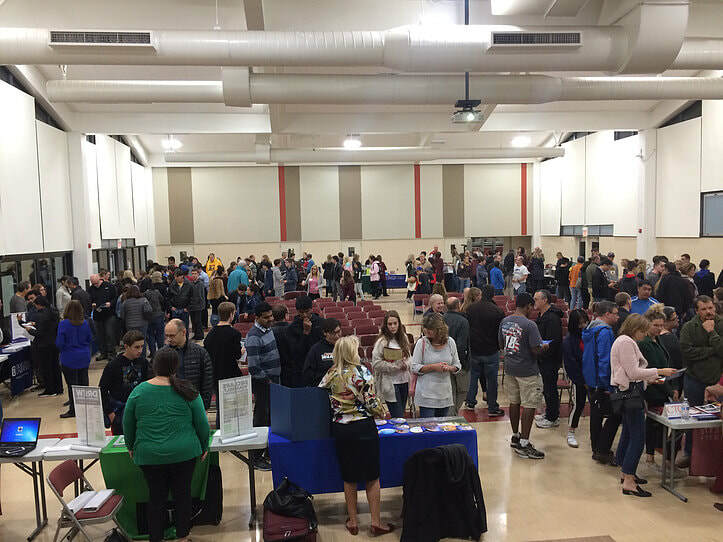 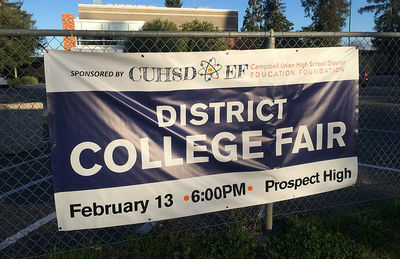 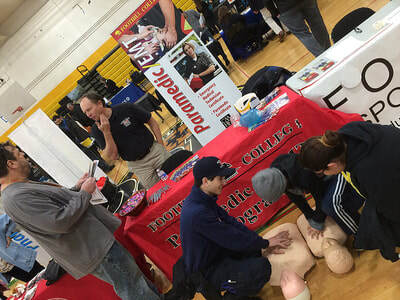 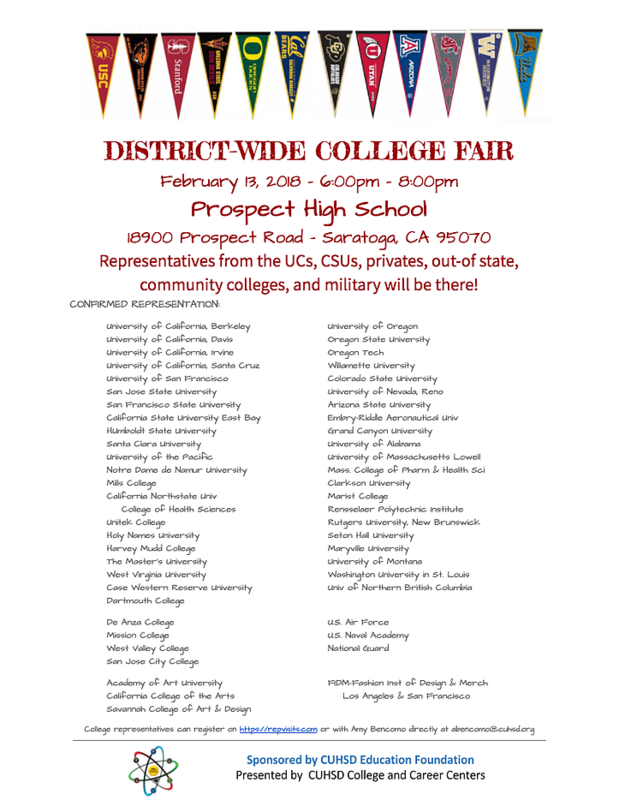 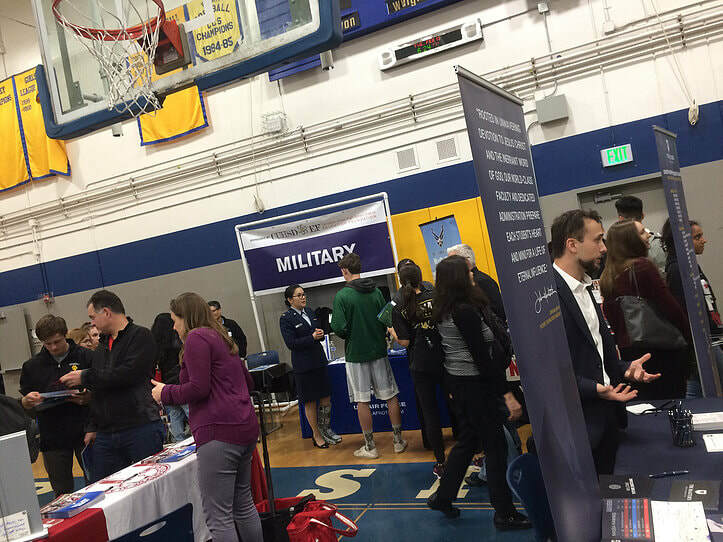 Hosted by Prospect High School and presented by the CUHSD College & Career Centers, the Winter College Fair was a successful event showcasing 50 schools including universities, community colleges, military academies, and art/design institutes, from across the USA. 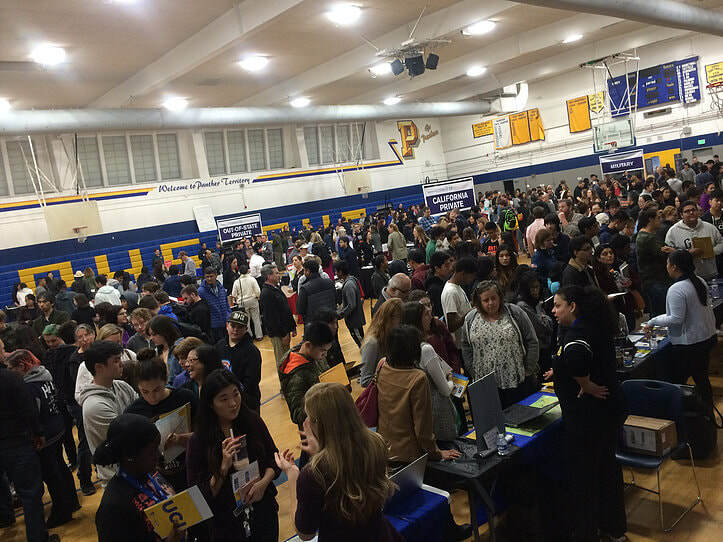 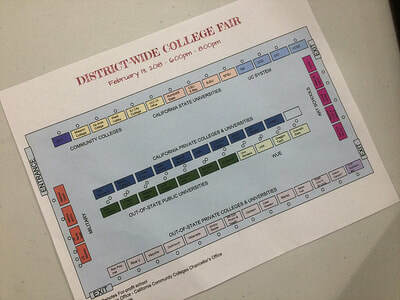 Thank you to 1,200 students and parents who attended our Second District-Wide College Fair! 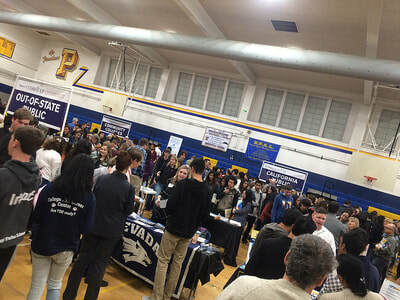 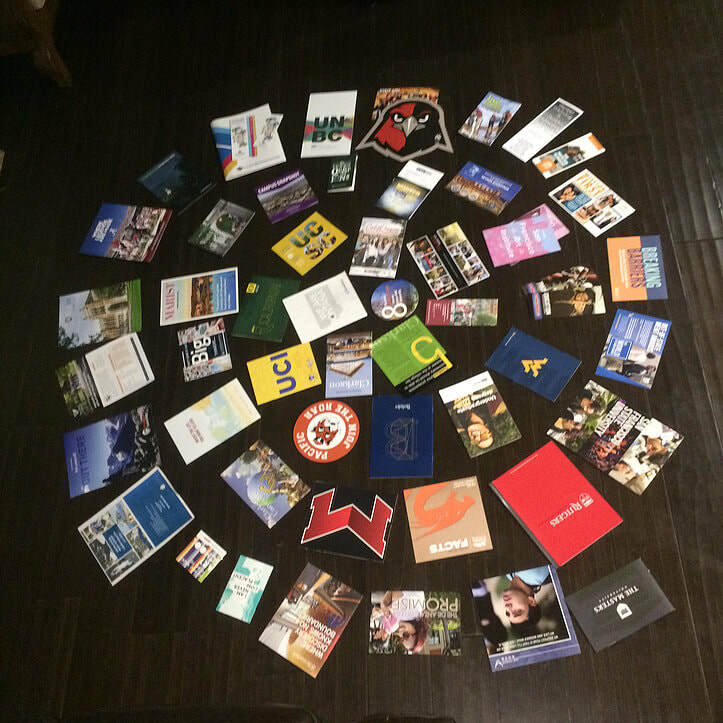 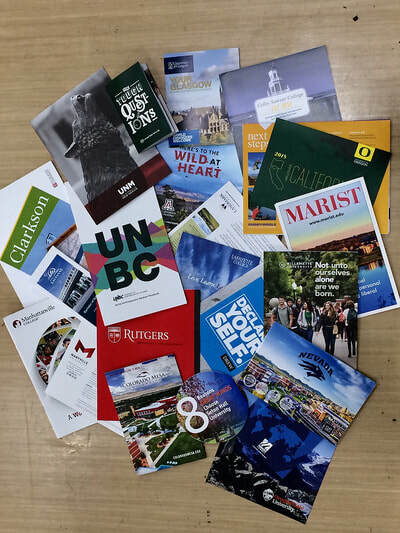 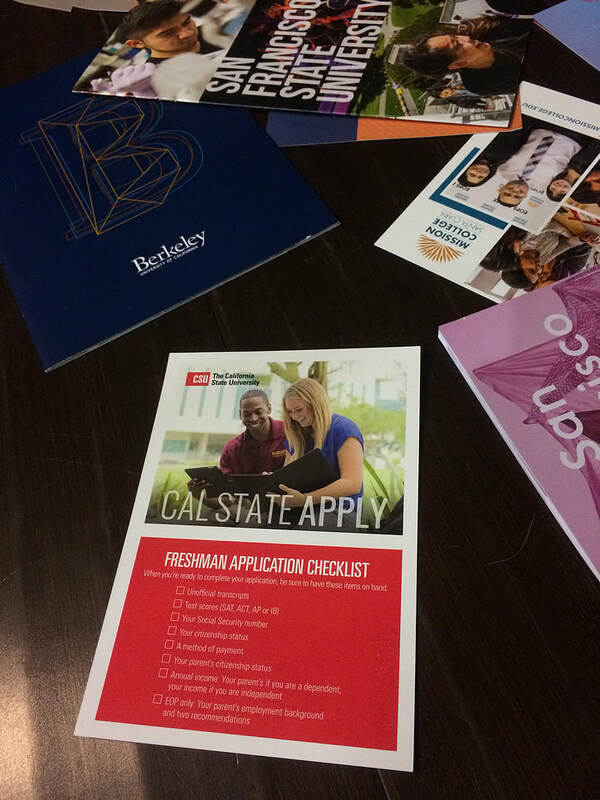 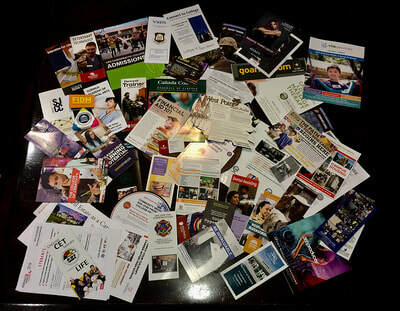 ​Thank you to 54 Colleges who attended Prospect's College Fair! 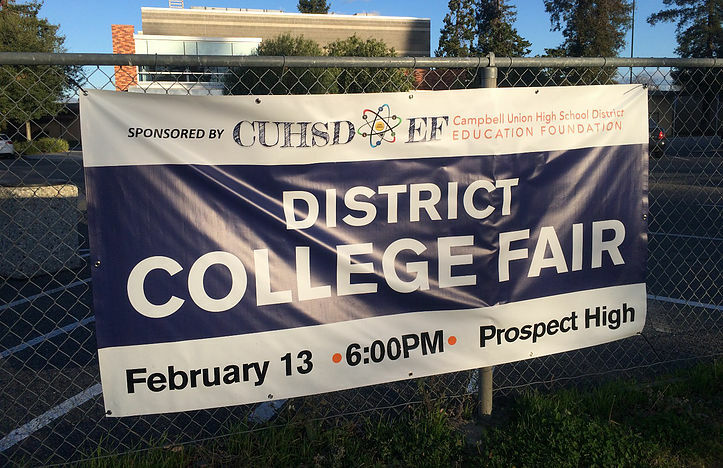 1,200 CUHSD students & parents explore over 50 colleges and universities! 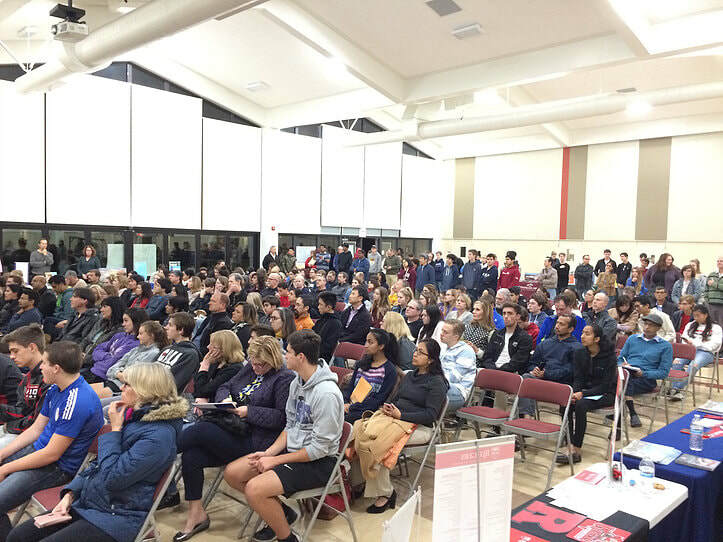 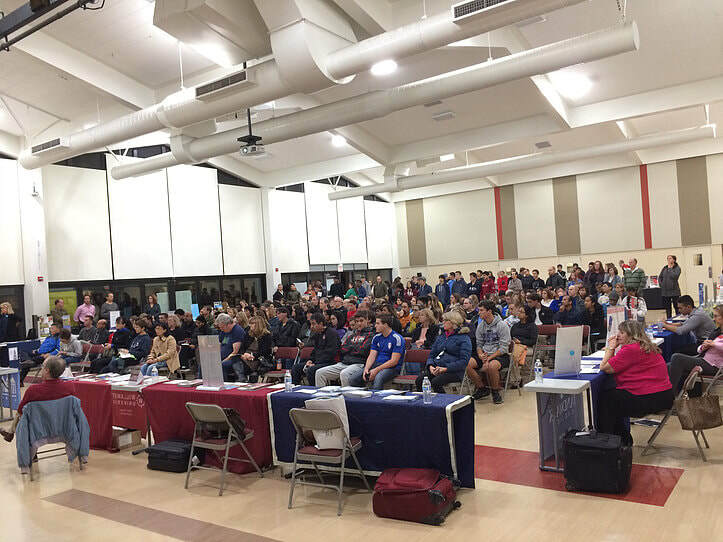 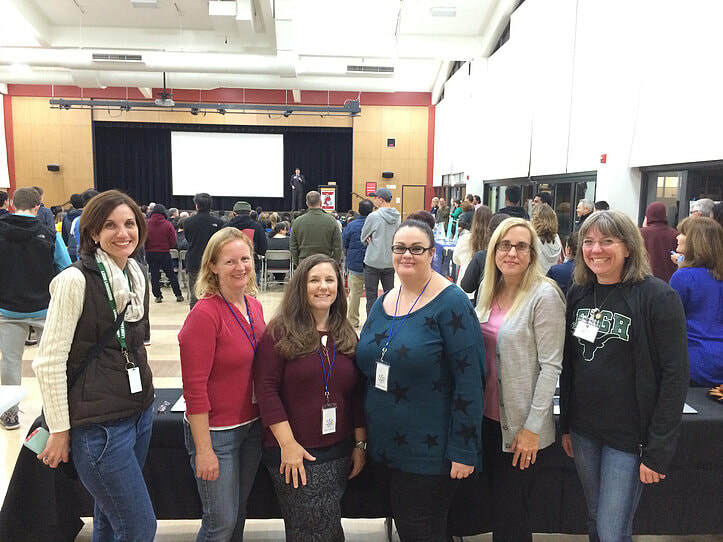 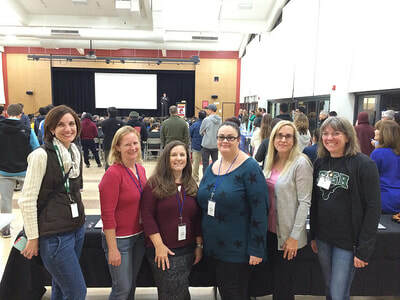 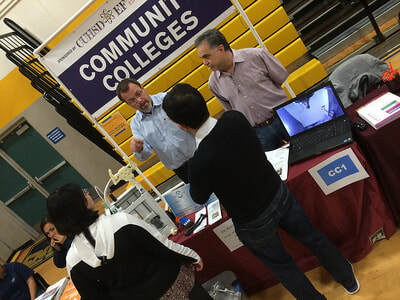 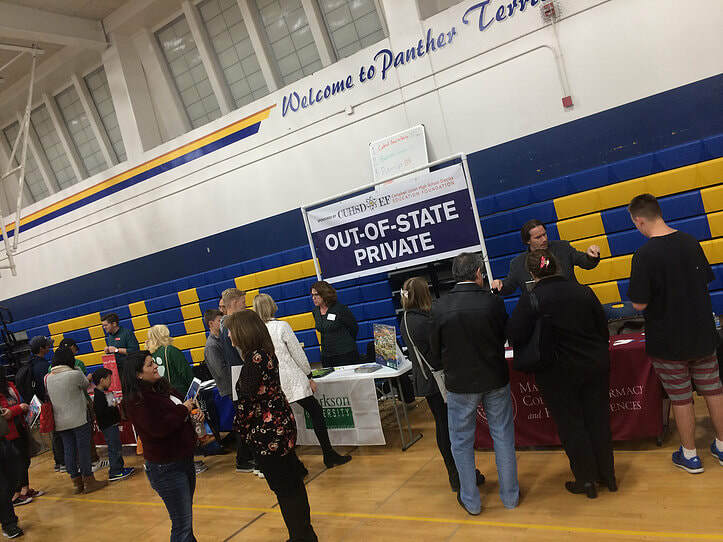 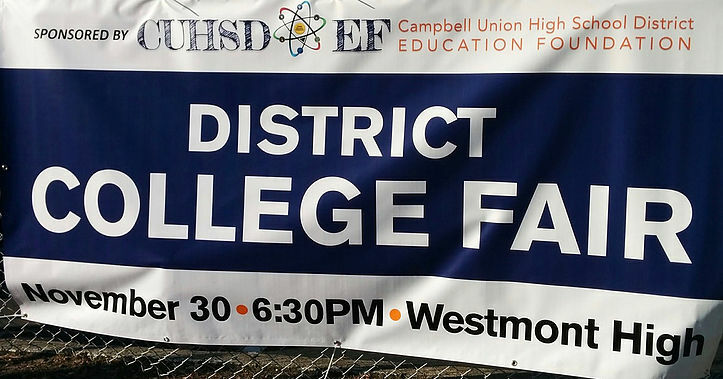 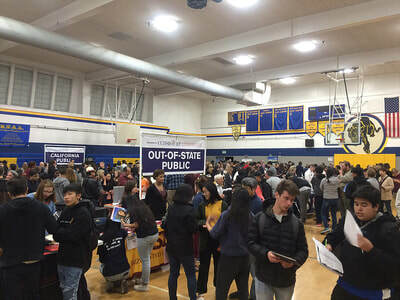 Hosted by Westmont High School and presented by the CUHSD College & Career Centers, the Out of State College Fair was a successful event showcasing 24 colleges and universities from the USA, Canada and around the world. Thank you to 300 students and parents who attended our First District-Wide College Fair! 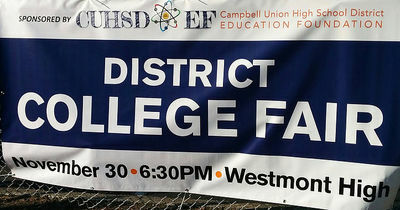 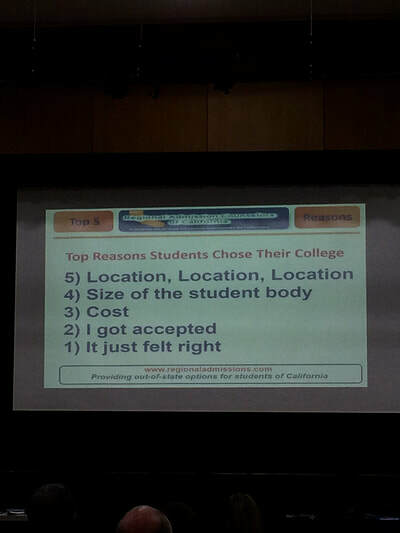 CUHSD students encouraged to explore and learn which school is the best fit for them! 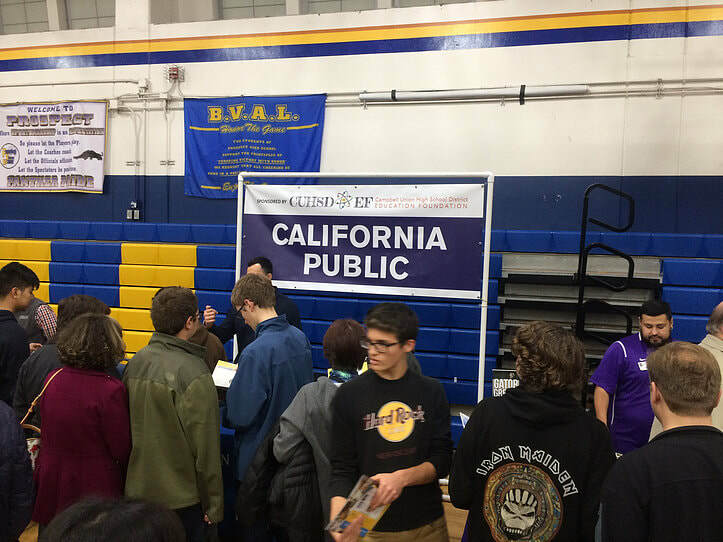 CUHSD students & parents explore 24 colleges and universities! 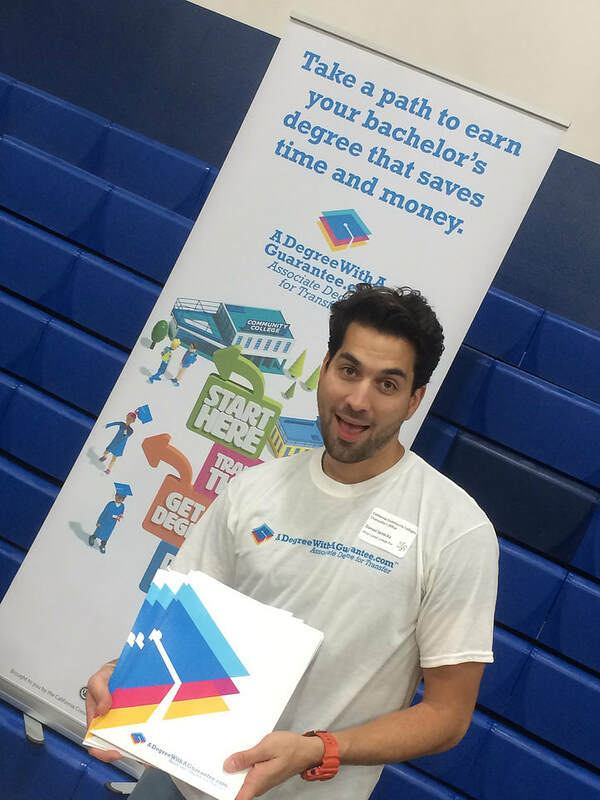 Are you attending a college or career fair soon?